Launching the club’s RIB from the public slip at Berwick, we headed rather gingerly down the harbour channel before opening up the throttle and heading south down towards the distant silhouette of Holy Island .  Our aim, to explore a number of dive sites that lay to the north of the island. We were greeted by a brisk SW breeze and a resultant short chop making for something of a wet and windy ride resulting in Andy losing his prized white cap! After a brief but unsuccessful search we headed on and located our first target site, the remains of a mysterious long lost wooden vessel which was carrying a cargo of iron pieces. The name and circumstances of the loss of this vessel are long lost back in the midst of time. 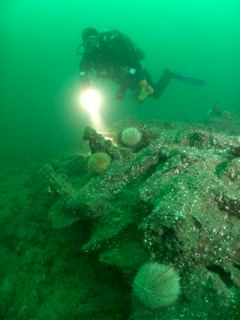 Today very little remains of this mysterious vessel as the wooden hull and decks have long since rotted away. 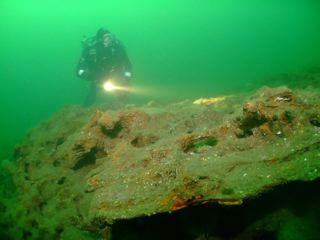 What now remains is the concreted mass of the ships iron cargo that now forms a perfect outline of the bottom of the former wooden hull prior to its eventual disintegration. The remains of the iron cargo has created a fabulous ferrous reef, full of nooks and crannies that provide a perfect refuge for a multitude of marine sea creatures on an otherwise rather barren seabed. This reef rise’s a couple of feet from the bottom and amongst the iron canyons and crevices we observed conger eels, Dab, blennies and a multitude of lobsters and crabs. This reef stretches for around 20 metres and is around 5 metres wide. Slowly we made several sweeps extending outwards from this man made reef in the hope of finding other debris from the shipwreck, but only located a large corroding piece of pipe work. Underwater visibility on this occasion was a very reasonable 10 metres plus. 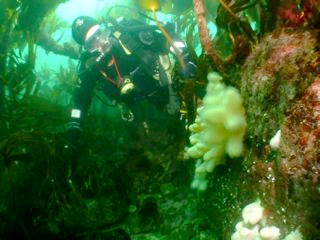 The joy of diving this site however is the combination of the mystery of a long lost and forgotten vessel that has by chance been transformed into an artificial reef teeming with life. 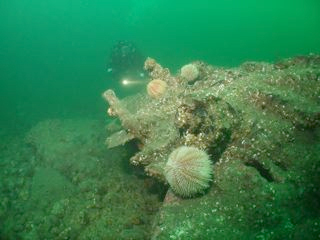 With the need to ensure that we still had enough water covering the Berwick slipway in order to safely recover the RIB, plans to explore some of the other wrecks to be found in this area were hastily abandoned and instead we opted to explore a shallow reef on the route back home. Wingate Reef is situated some distance from the land but proved to be quite a shallow dive with around 9 metres of water covering its rocky gullies. 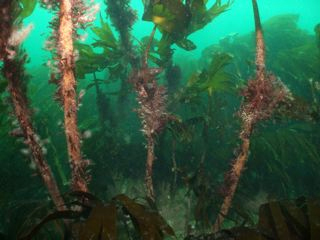 Tidal currents proved too very strong requiring a rapid descent down the shotline to seek shelter under the kelp that streamed overhead in the tidal flow. Down close to the bottom we came across numerous bold lobsters openly hunting across the rocky seabed. Rising upwards, the area was also notable for the many fish that could be observed schooling or hunting in the current: Numerous powerful looking Pollack hung almost motionless in the tidal stream waiting patiently for the opportunity of a passing meal. 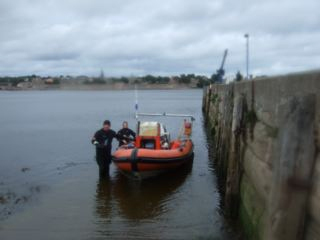 Once all the divers were successfully recovered, we made a rapid journey home, all too conscious that with an ebbing tide we were cutting it fine for access out of the water via the public slipway. Fortunately when we arrived back at the slipway, sufficient water remained to allow the speedy recovery of the RIB from the water. Thanks to Andy Hunt for organising another great days diving.